The decision to begin the process of therapy is a very important one for you and your family. As a therapist, Candace’s goal is to provide a safe and respectful environment to which you can bring your struggles and your strengths and feel understood and supported. Therapy can help to make you feel calmer and more confident in your ability to confront life’s challenges. Candace’s style is warm and flexible tailoring sessions to the clients needs. Candace utilizes a variety of therapeutic approaches to best meet a clients particular issues. A cognitive behavioral, developmental, and system theory often combine to address the presenting issues. Candace works with most age groups and has experience working with children. Children express how they feel through their behavior. These behaviors can cause concern that results in the desire to seek out therapy. It is important to help children become aware of emotions and learn to express feelings constructively. Candace believes in the importance of working closely with parents of children and adolescents, when appropriate, to facilitate lasting change. Candace approaches each client as a unique individual, and believes in the important impact of family relationships surrounding a person’s life. Candace has developed, with over 15 years of experience, meaningful experience working together with individuals, families, and couples. Candace earned a Master’s degree in Social Work and is a Licensed Clinical Social Worker (LCSW). 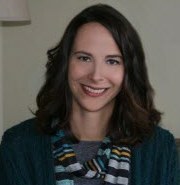 Candace currently serves as a part time instructor at Alverno College in the Department of Psychology. Many of you may have questions that Candace would be more than happy to answer regarding therapy. A phone consultation or email exchange is available to address these concerns.